Today is a drip-droppy rainy Spring day here in Colorado. It has been raining for days which is strange for our little community. All this quiet persistent rain is bringing the world alive with vibrant greens of every shade. Dwelling in our yard is a luscious patch of fragrant lemon balm which showing it’s colors and simply loving all of this unusual rainy weather. Well beloved by herbalists everywhere, lemon balm is a constant companion in our garden. It is very easy to grow. Being a member of the hardy mint family, lemon balm can spread and become quite prolific. With it, my family makes all manner of delightful things. From the simplest herbal infused water to delicious sorbet and on to healing lemon balm salve, it seems that a little lemon balm brings happiness to so much! I am always looking for ways to incorporate herbs into my family’s life. We all love baking together and adding herbs to our baked goods is a wonderful way to enjoy a little plant magic in our home. So it is out into the drizzly rain to harvest a big bunch of lemon balm from the herb patch for some tasty Sunday morning scones! I must admit that part of the inspiration for these scones comes from a little something I already have stashed away in my cupboard. That little something is a tasty lemon balm lavender infused sugar. It is so beautiful just to smell that I know it will make the perfect topping for these scones giving them a divine little crusty sweetness right on top. You can easily make your own lemon balm lavender sugar. Use it for topping scones, to roll cookie dough in or add it to a cup of earl grey tea. Layer the lavender and lemon balm sprigs with the sugar inside your jar. Be sure that the herbs are completely covered with sugar. This will help to preserve the herbs. Every couple of days stir your herbal sugar. It will start to clump as the moisture and flavor from the herbs seeps out into the sugar. After a couple of weeks your sugar is ready to use. At this point you can either remove the herb sprigs or you can put everything in a food processor and grind it up together. This is what I did. I love having happy little herb pieces remain in the sugar. Store your sugar in a jar with a pretty label. Lemon balm and lavender together create a beautiful, happy flavor playing off one another. Incorporating lemon balm and lavender into your food gives it an extra boost of health and vitality that is part of the special gift herbs give us. Lemon balm and lavender are both lovely nervines that help to ease stress and relax spasms. Both plants are wonderful for the whole family to use though lemon balm has a particular affinity for children. Beyond the aromatic oils that make lemon balm smell so delightful, the herb is full of healthful vitamins and minerals. These hearty scones are not your traditional buttery, flaky scone. Made with honey, olive oil and whole grains plus the nourishing addition of herbs you and your family can enjoy these tasty scones anytime! If you are using blueberries combine them in a bowl with a generous sprinkle of sugar (lemon balm lavender sugar if you have it) and set aside to stew while you prepare the rest of the batter. Pre-heat the oven to 375 degrees and oil a cookie sheet. Whip together the egg, honey, olive oil, and lemon zest in one bowl. In another bowl, combine the dry ingredients including the lemon balm leaves. Rub the lavender blossoms between your fingers as you add them to the batter. This will help to break them up into smaller pieces. Mix the liquid ingredients with the dry ingredients. You will have a very thick batter. Add the milk, stirring everything together. If you are using blueberries, place a small spoonful of batter on the cookie sheet. Top with a few blueberries and then add some more batter on top of the blueberries. Finish them up with a sprinkle of sugar on top. Bake for 15 to 20 minutes. Let cool before removing from the cookie sheet. 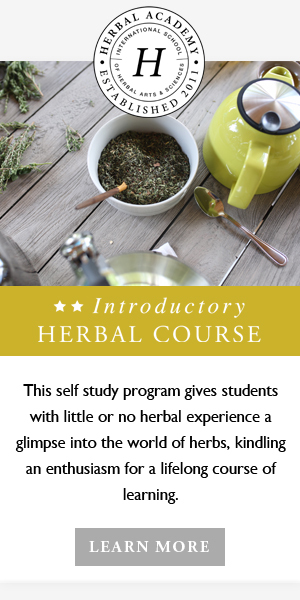 Would you like to join us in baking some more healthful, tasty herbal treats? Find a recipe for “Grandma’s Ginger Snaps” on Introduction To Herbs For Kids: Herbs Are Tasty! Weil, Andrew and Daley, Rosie. (2003). The Healthy Kitchen. New York: Knopf.